Love is in the air as Valentine’s Day is just around the corner, and it’s a time Indulgence Beauty to share the love! Make this Valentine ’s Day all about You by treating yourself to some MD Dermatics skin-loving essential that will deliver lovey skin care results. 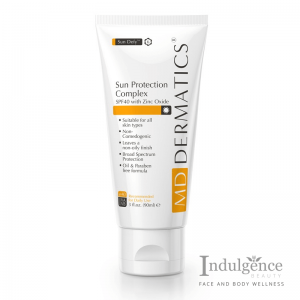 MD Dermatics Sun Protection Complex with a sun protection factor of 40, contains Z-Cote® formulation which provides high broad-spectrum sun protection against harmful UVA and UVB rays, the main causes of sun burn and premature aging. Sun Protection Complex provides full-spectrum UVA and UVB defense. Contains Z-Cote® for maximum overall protection. 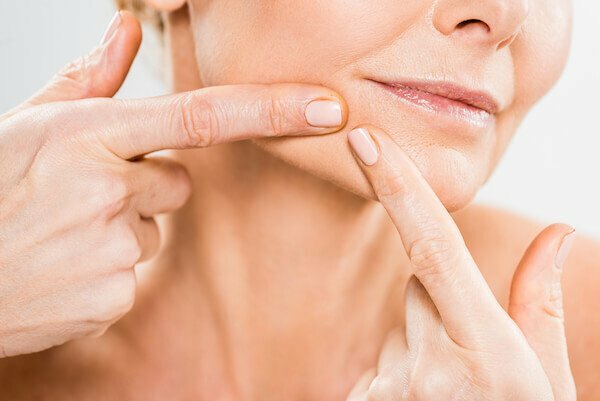 While Vitamin B5 heals your tissue, Sodium Hyaluronate stabilizes the inter-cellular skin matrix by helping to maintain and attract water within the extracellular structure. 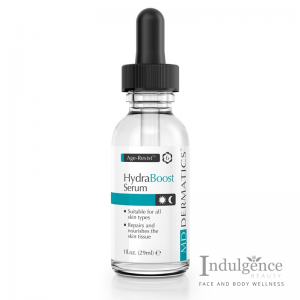 MD Dermatics HydraBoost Serum dramatically reduces the appearances of wrinkles and boosting skin barrier functions, all in just one tiny package. 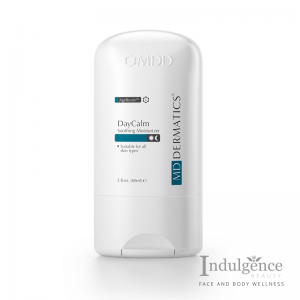 MD Dermatics DayCalm Soothing Moisturizer Containing a rare peptide found only in Antarctica , this miracle cream regenerates and protects the skin by retaining moisture and water, heals wounds, increases collagen and elastin production while improving the skin’s hydration. 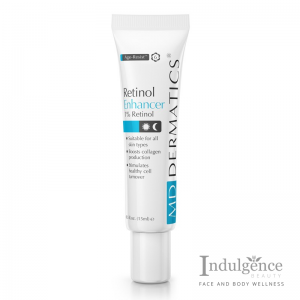 MD Dermatics Retinol Enhancer is perfect for problematic skin, this unique treatment solution delivers anti-wrinkle and firming action directly into the cellular level. 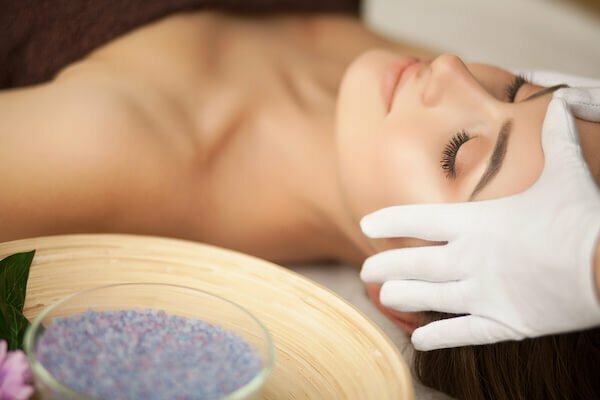 Recommended for night time use while the skin is most receptive, your skin will appear brilliantly rejuvenated and radiant when you wake in the morning. Use with MD Dermatics NightLight series for maximum benefits. 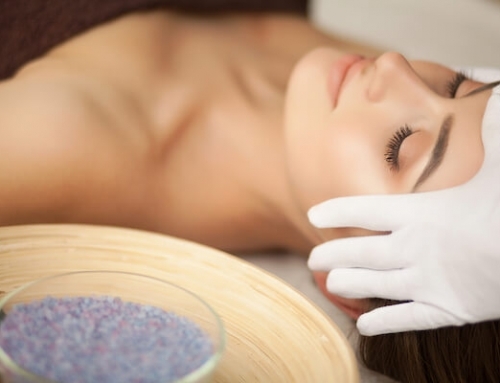 The DERMATICS® Skin Rebirth System was designed by Dermatologists and developed by our skin scientists under high standards and stringent controls in laboratories based in the United States. 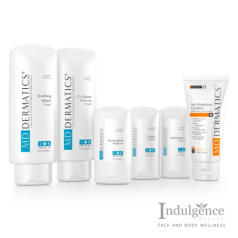 MD Dermatics Skin Rebirth System is FDA approved range of Skin Health products contain a unique blend of botanical extracts, vitamins and skin renewal formulas that are designed to bring the Skin Health to an optimum level, alleviating the skin problems that many people experience today. 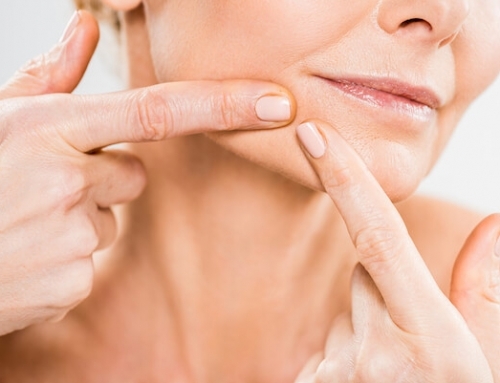 Currently used by Dermatologists, Medical Professionals and Professional Aestheticians to treat a wide range of skin concerns, the MD Dermatics Skin Rebirth System has been proven to work beyond the surface of the skin, targeting your skin problems at their source, stimulating healthy cell renewal and fortifying the skin from within.